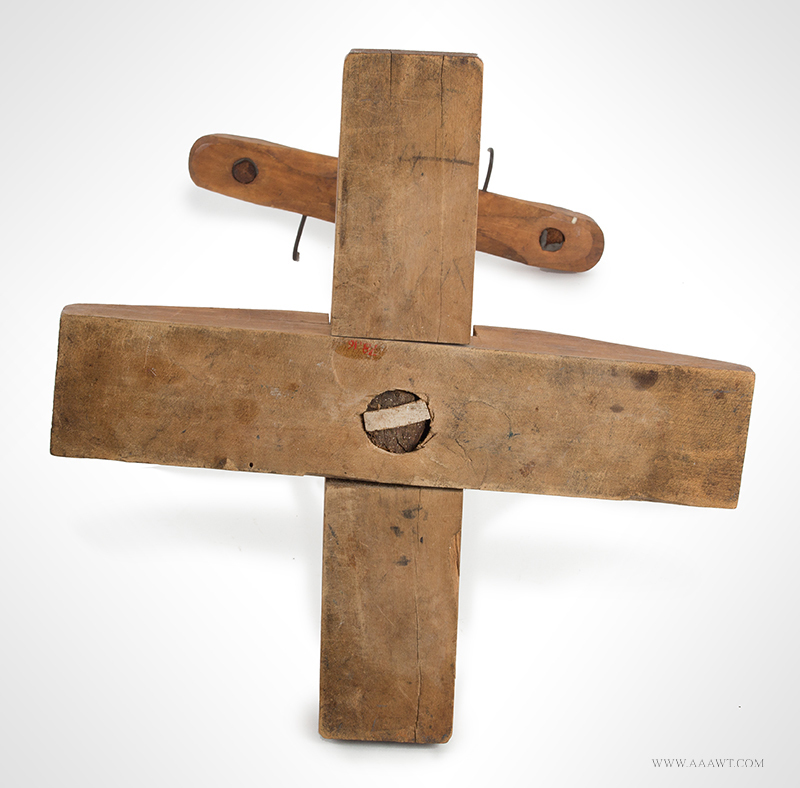 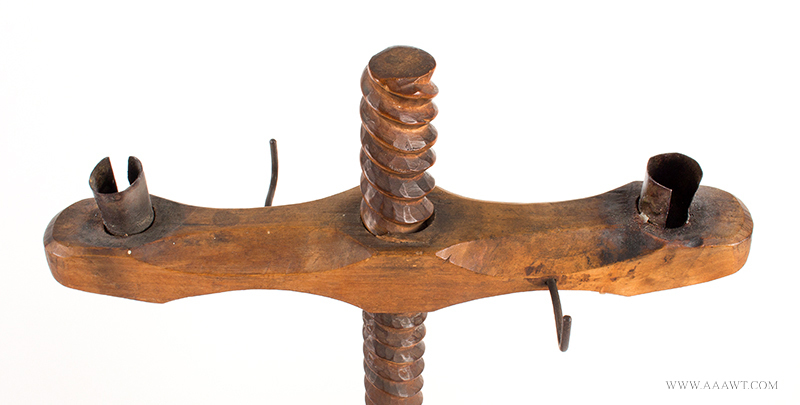 The carved arm with two tin candle sockets and hooks for hanging tools on a spiral-carved to-round-to-square chamfered standard morticed to a heavy X-Base. 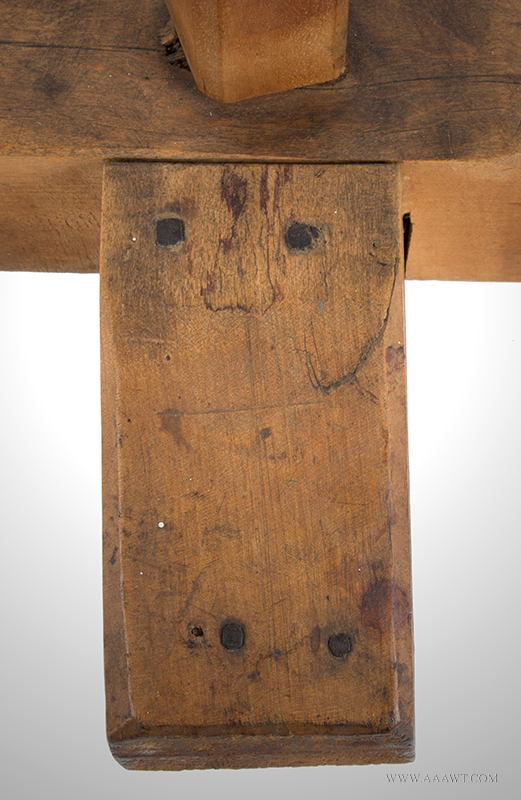 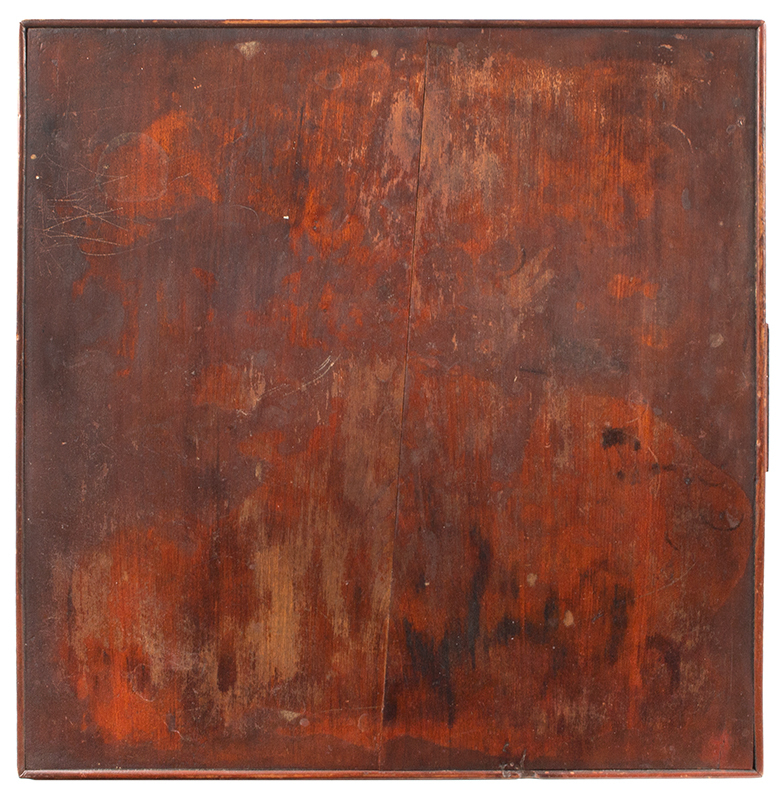 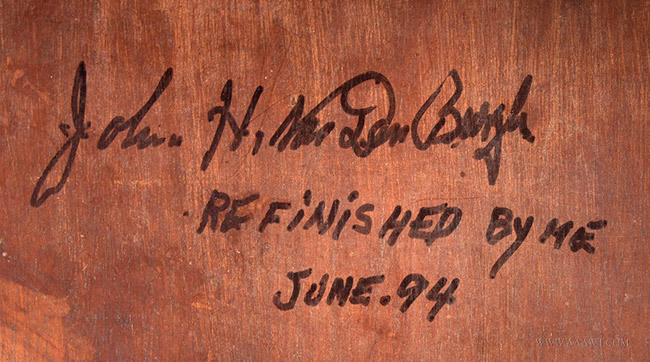 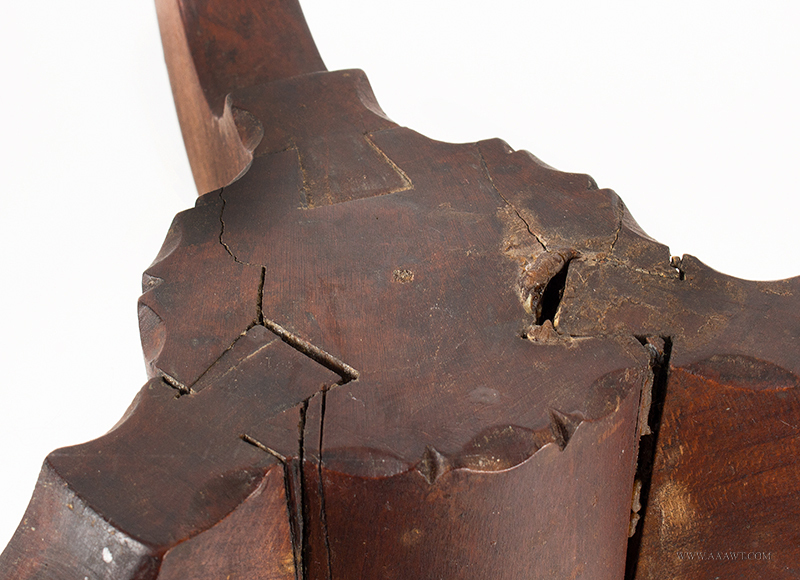 A shrinkage crack was attended-to with four early square nails during its early working life. 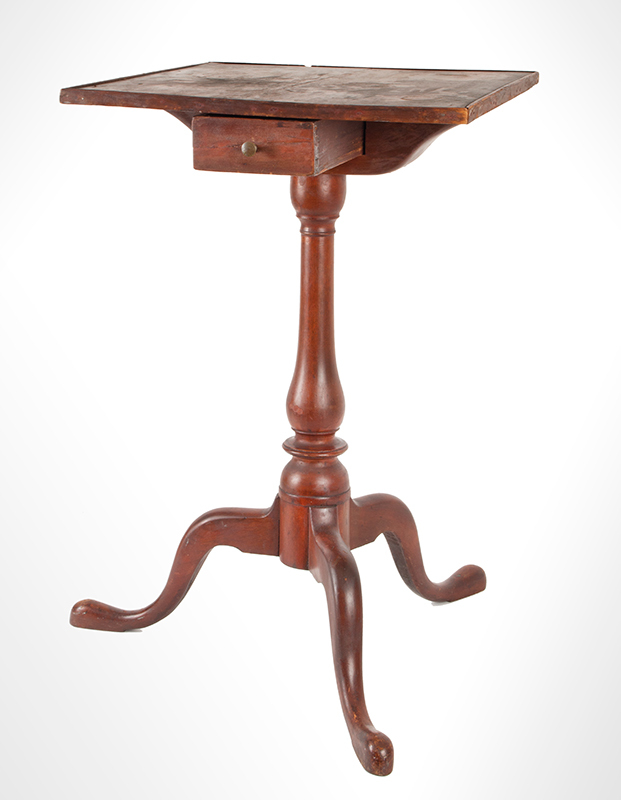 The stand, in original natural surface displays a nice surface. 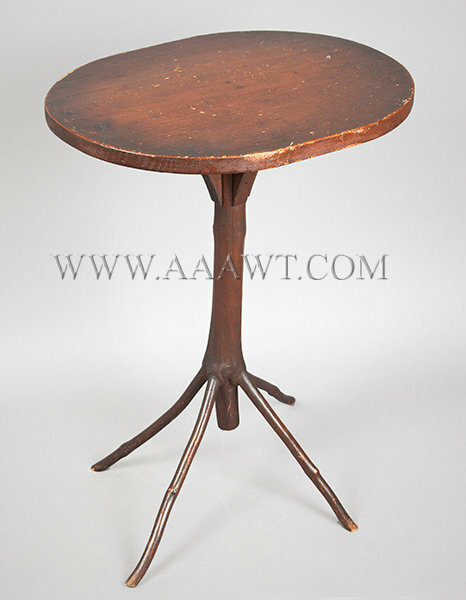 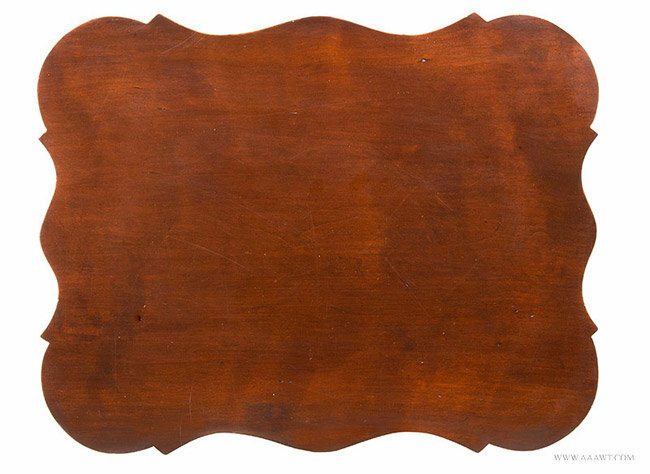 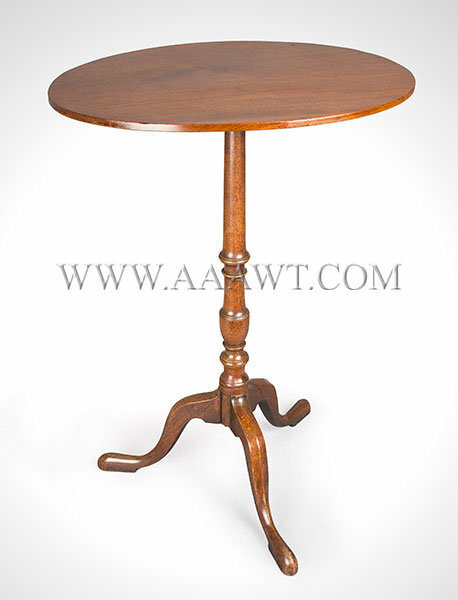 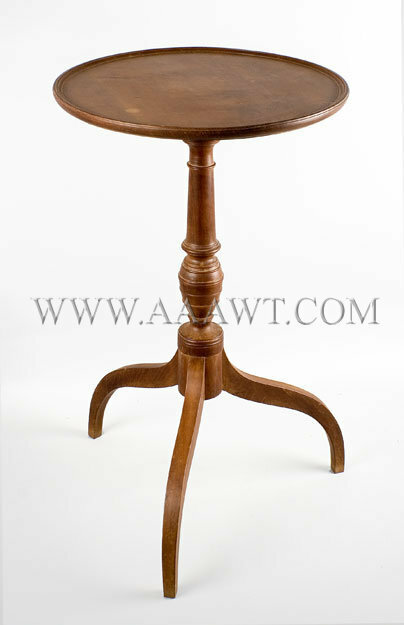 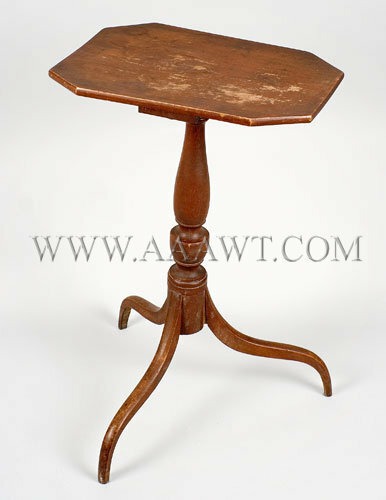 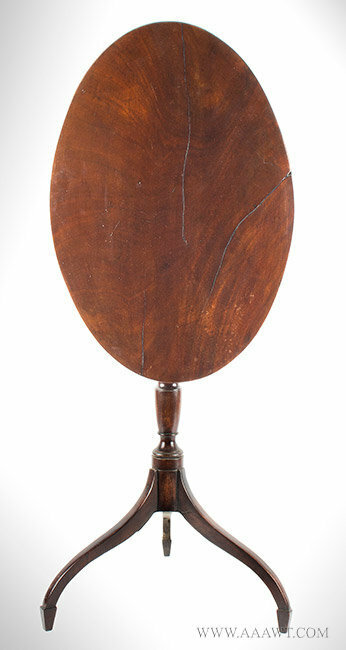 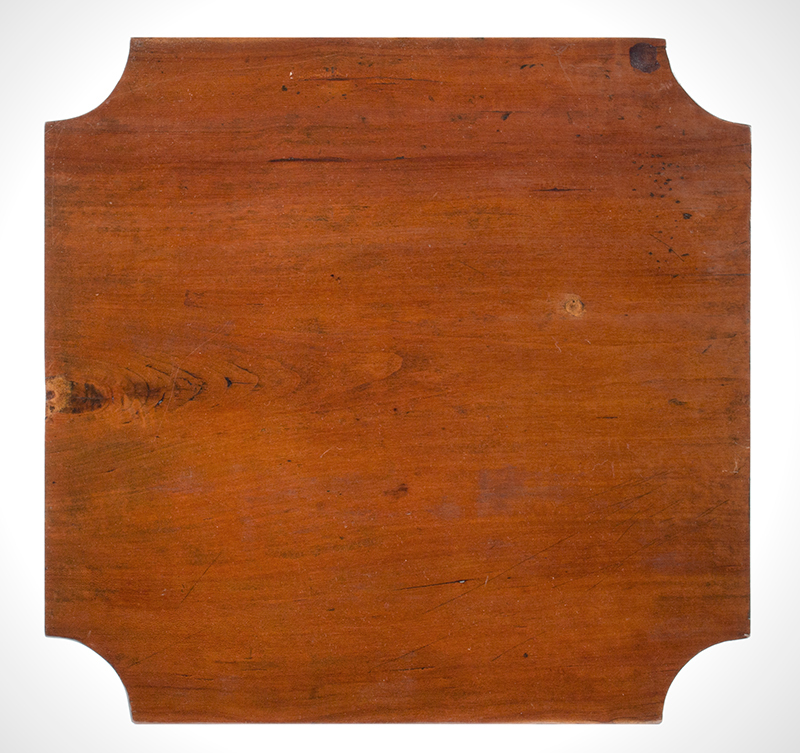 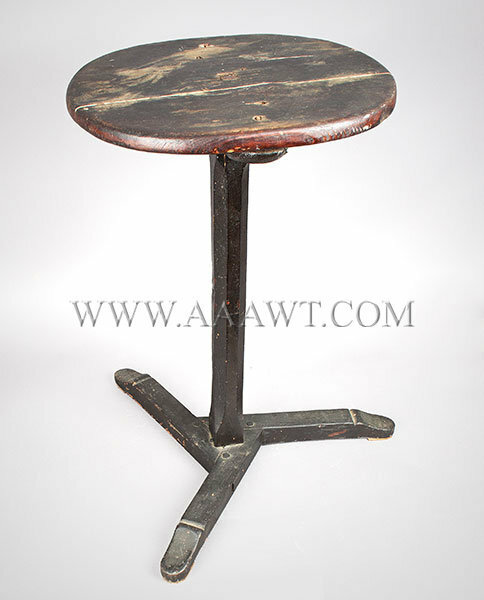 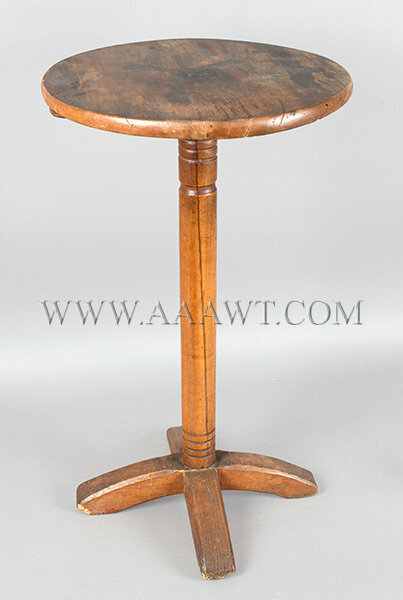 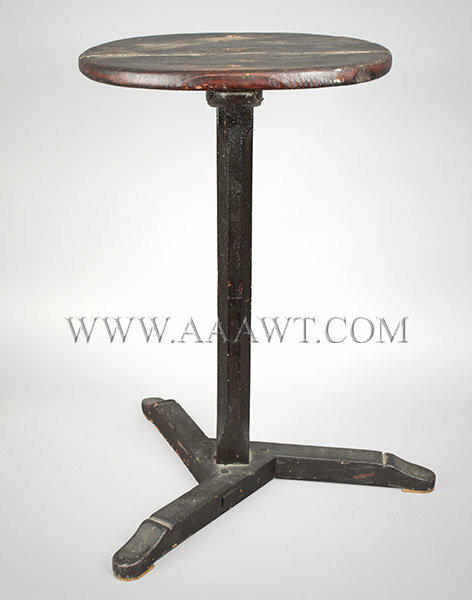 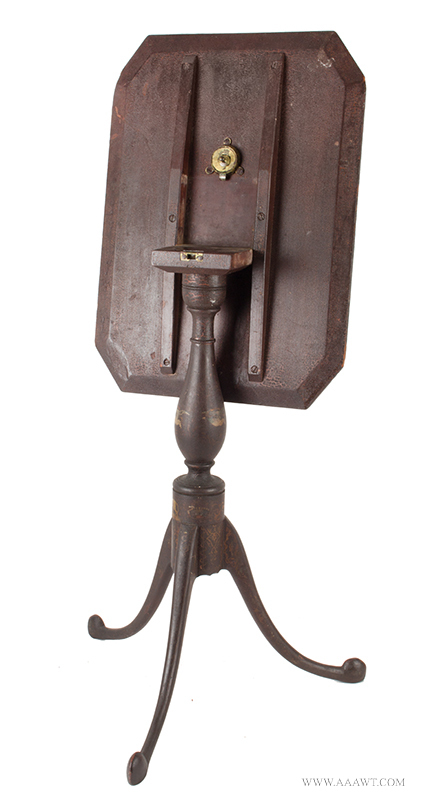 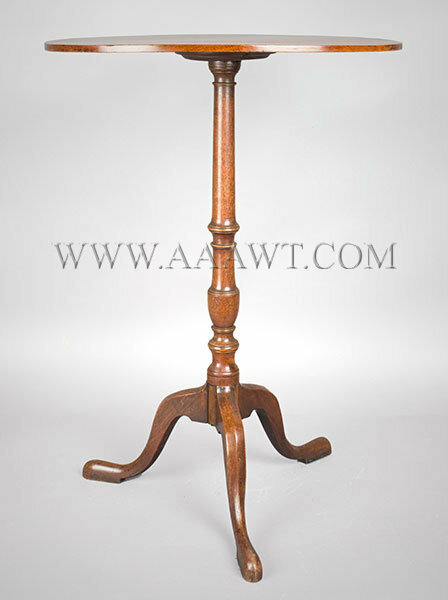 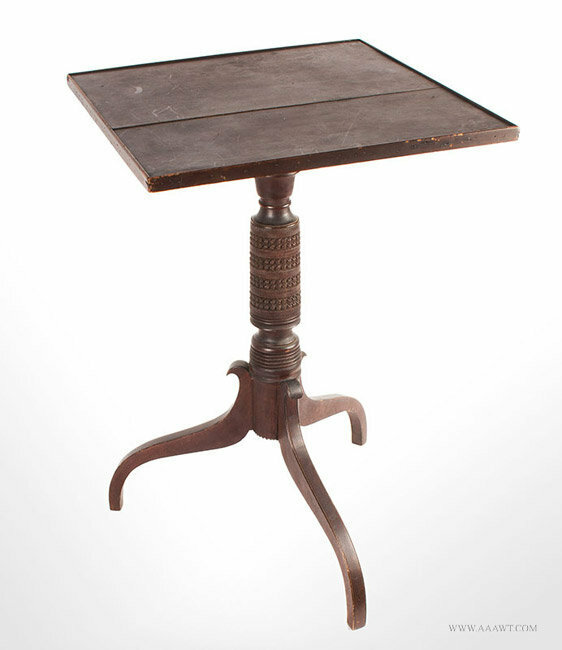 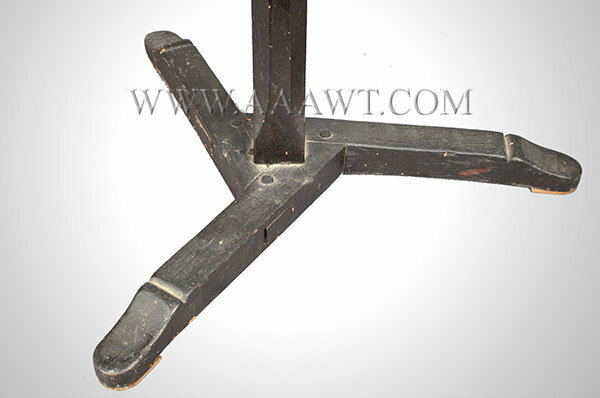 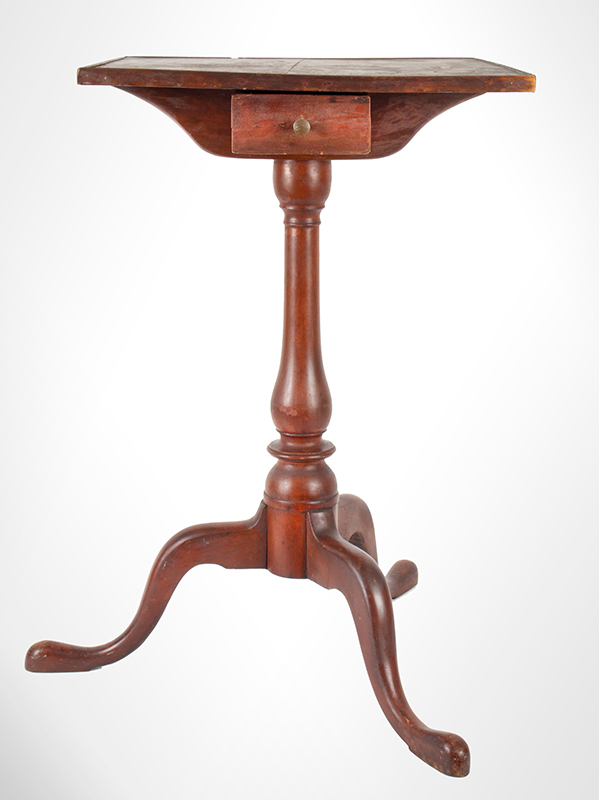 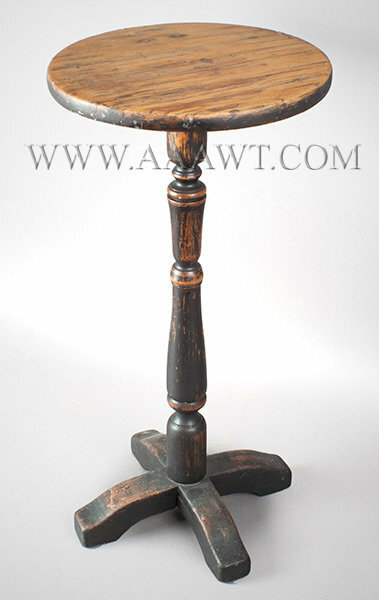 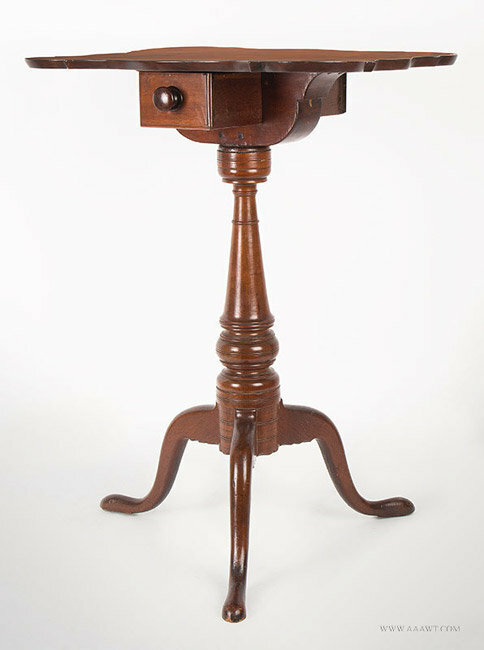 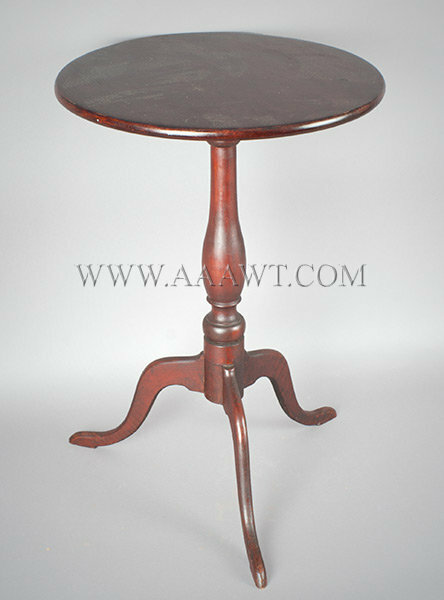 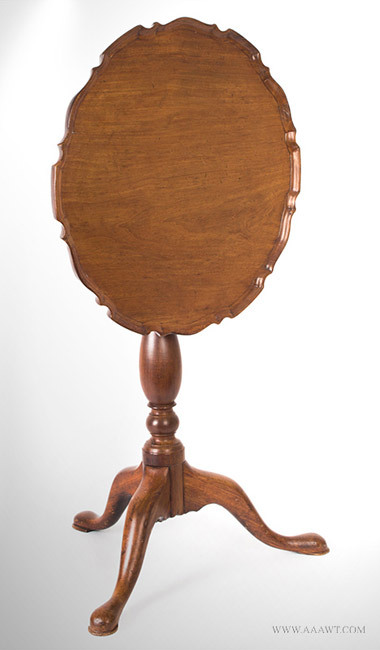 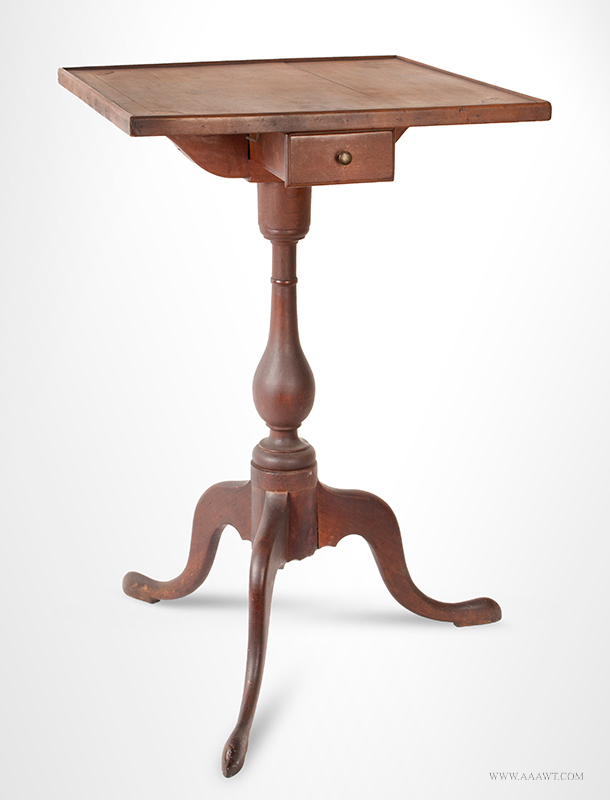 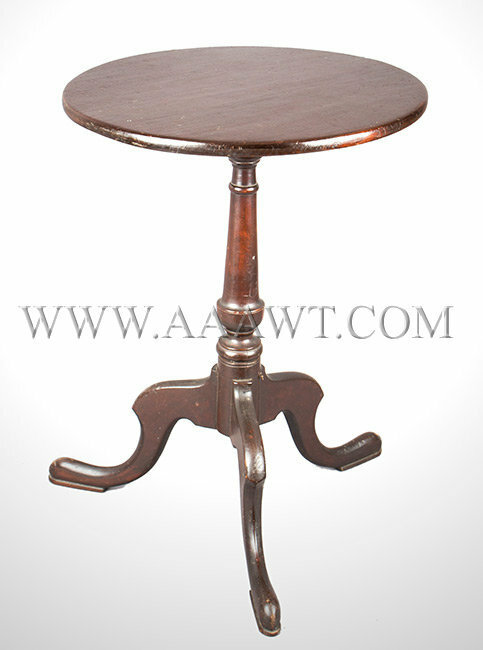 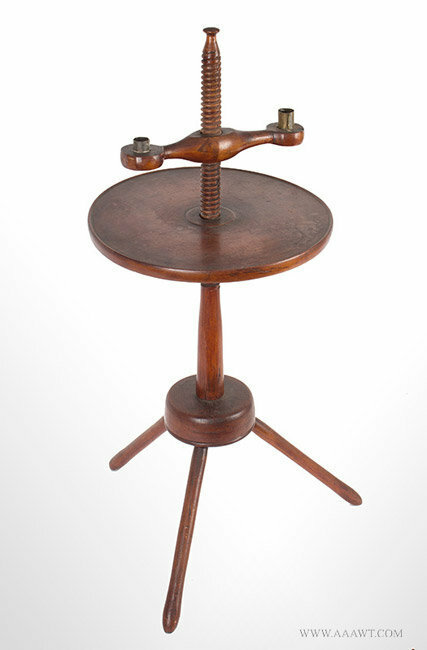 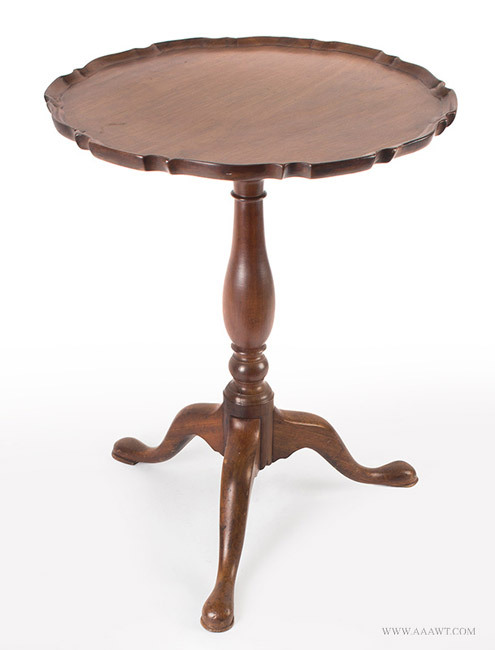 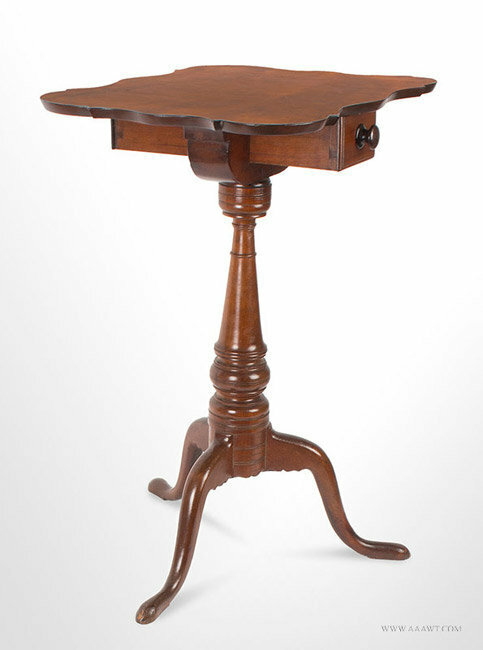 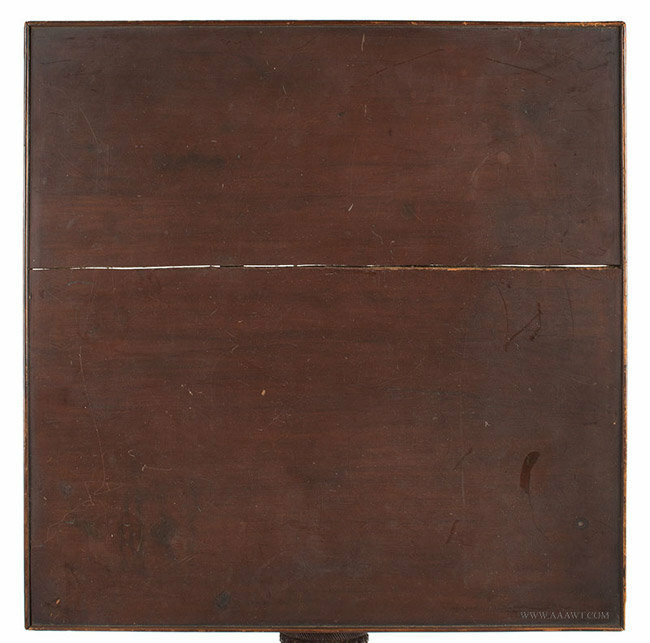 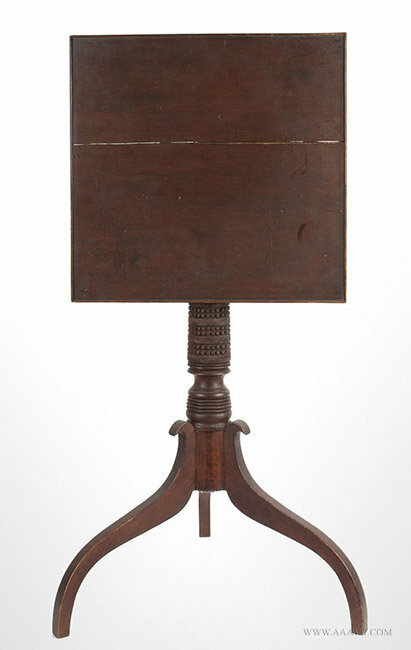 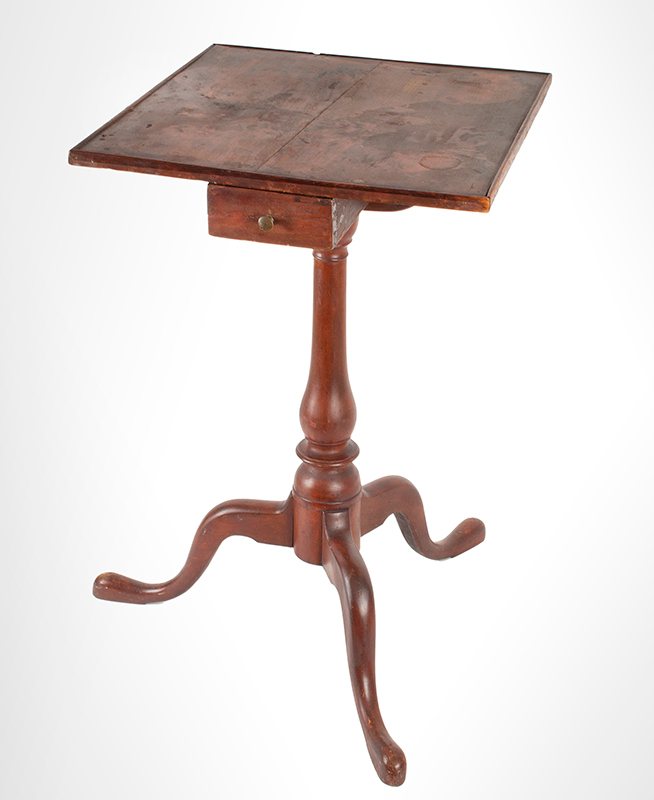 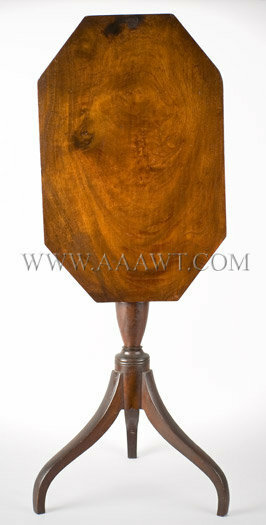 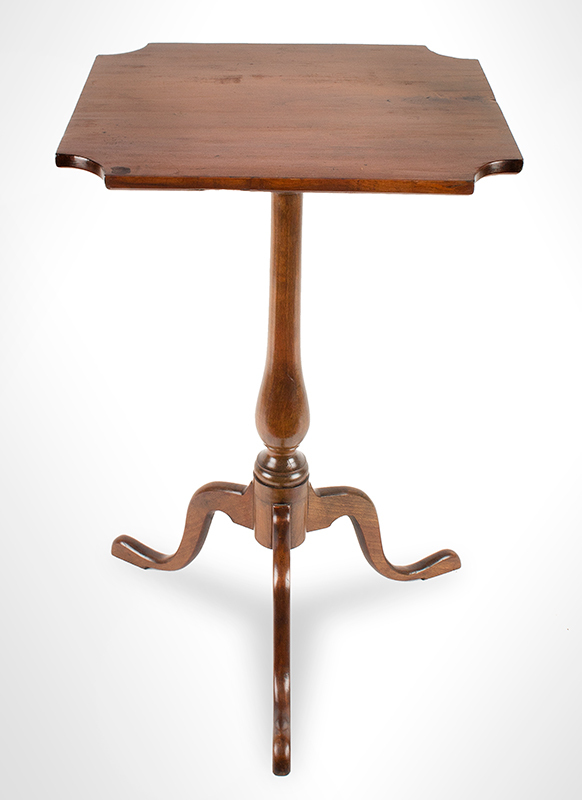 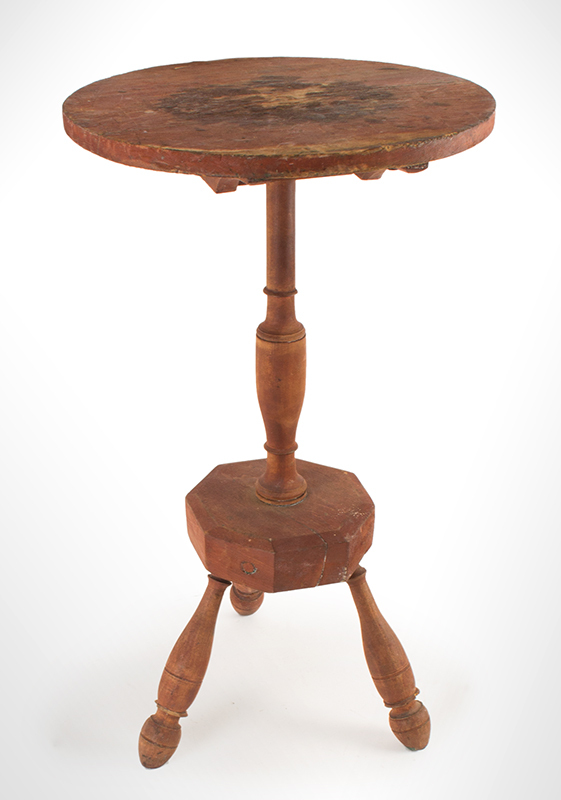 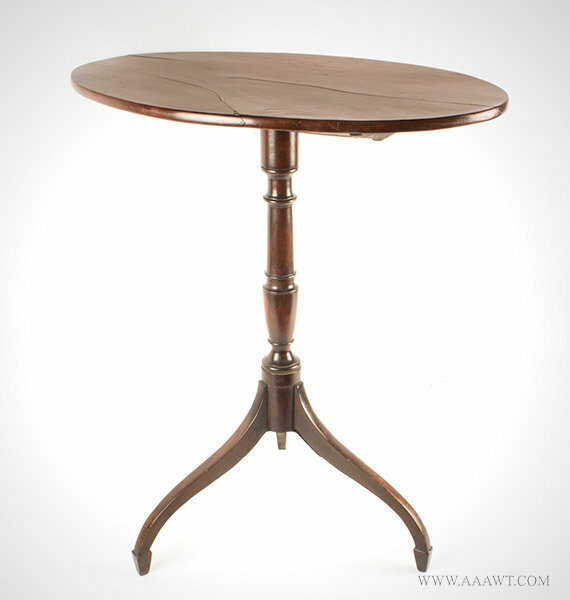 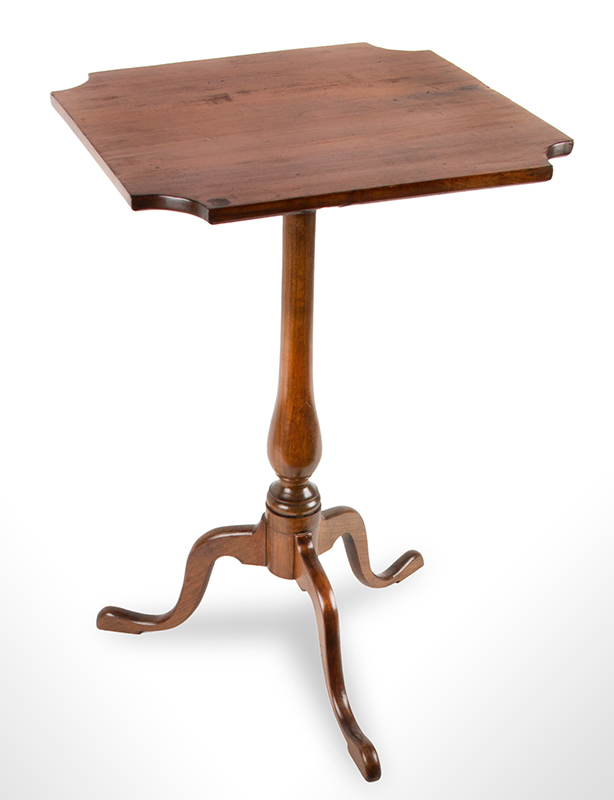 Rectangular top with cut corners and applied tiny half round molding creating a tray/molded top; baluster turned standard raised on a unique tripod base terminated with carved snail-like feet. 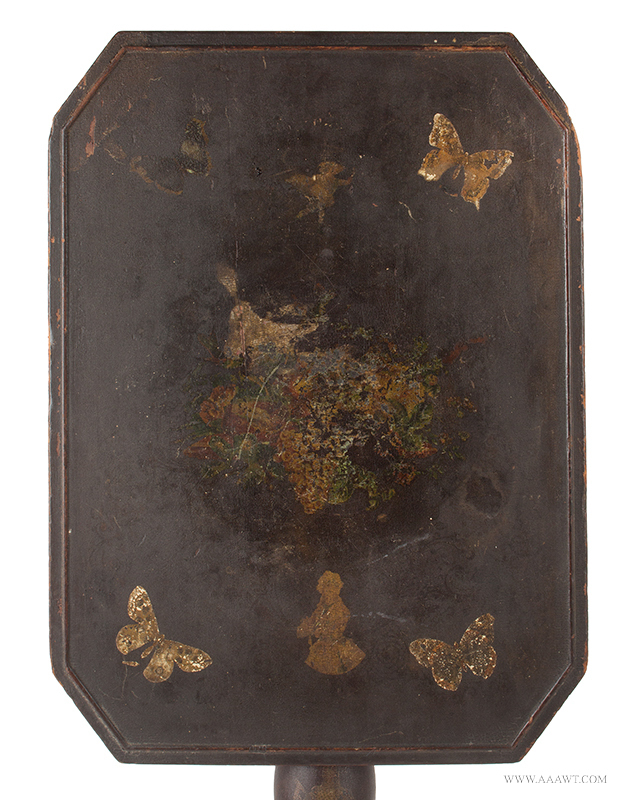 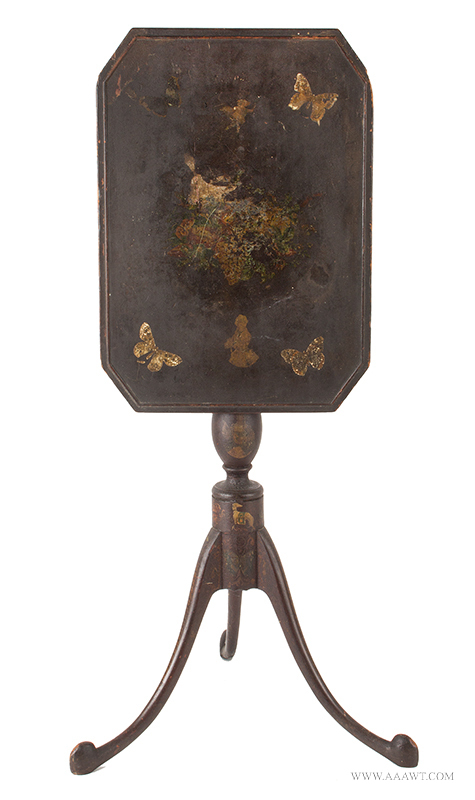 Legs and base display gilt ornamentation; top decorated with decoupage; the decoration appears to be very early. 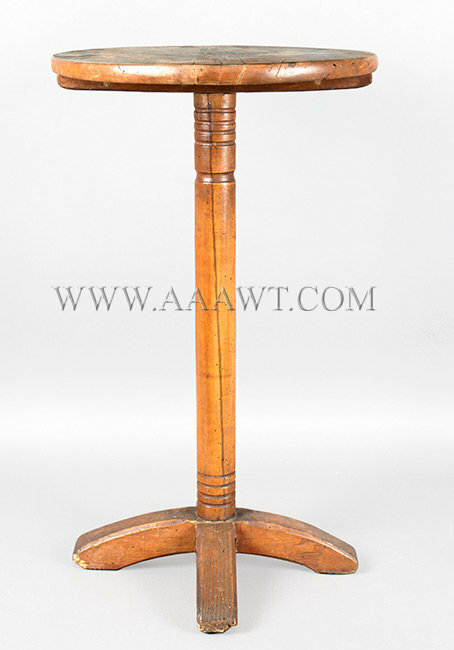 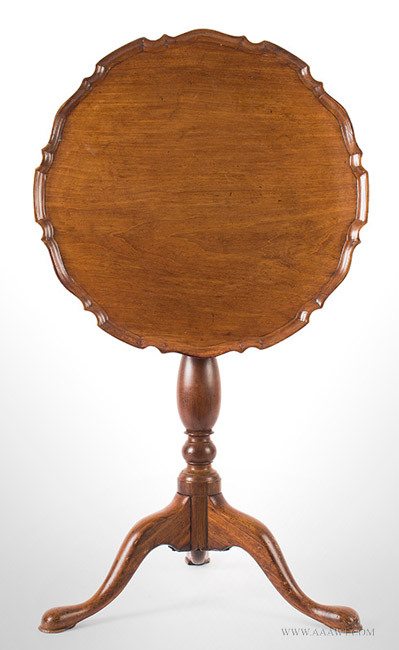 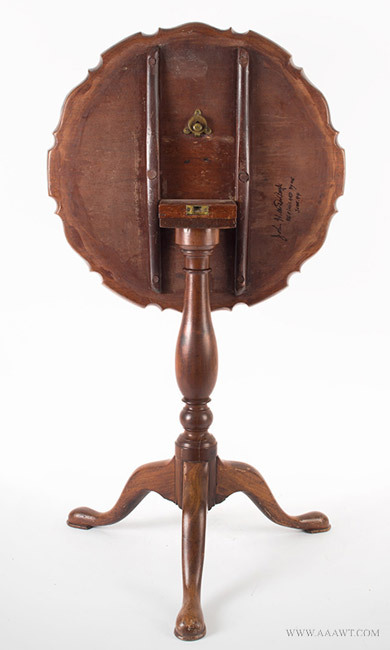 The square top with applied molding tilts on a turned and carved standard featuring crisp wafer and banded reel turnings centering bands of herringbone and stylized notch carvings. 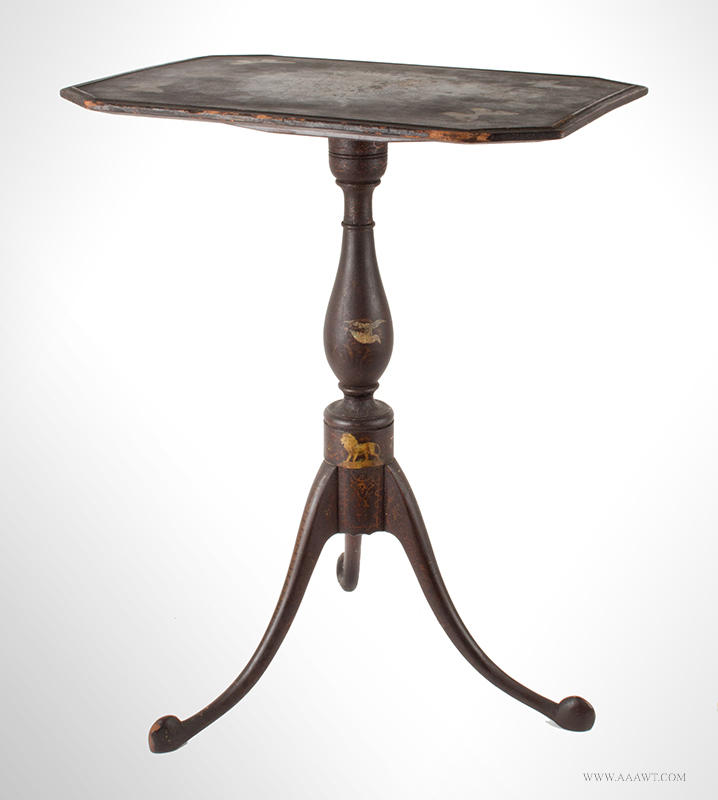 The stand is raised on scratch-beaded spider legs featuring scrolled returns. 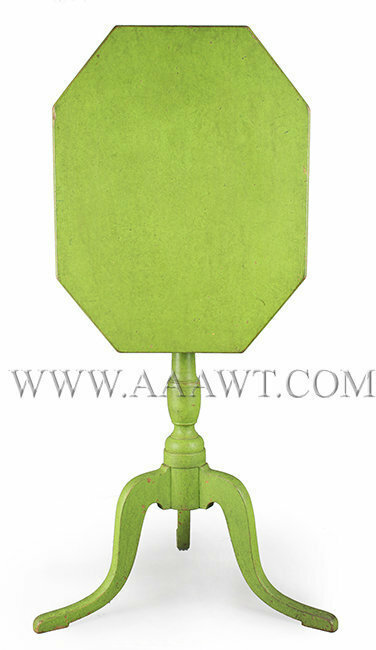 Federal Candlestand, Chartreuse Green Paint, Great Form, Different! 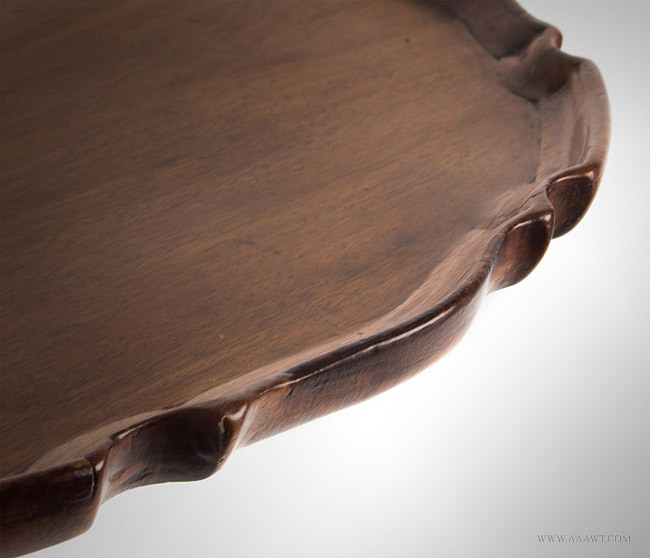 The black paint is refreshed, maple and pine. 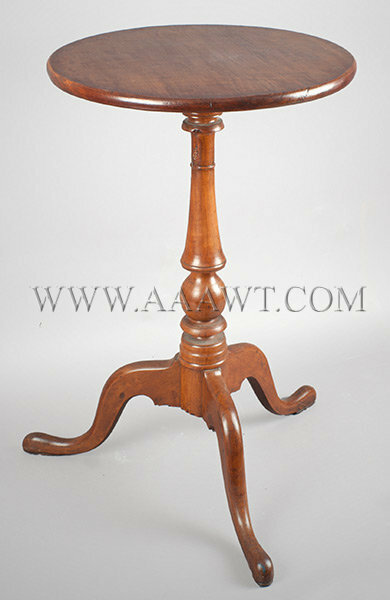 The octagonal top with sharply angled undercut edge providing a crisp profile above a turned and carved urn standard raised on well arched spider-leg base. 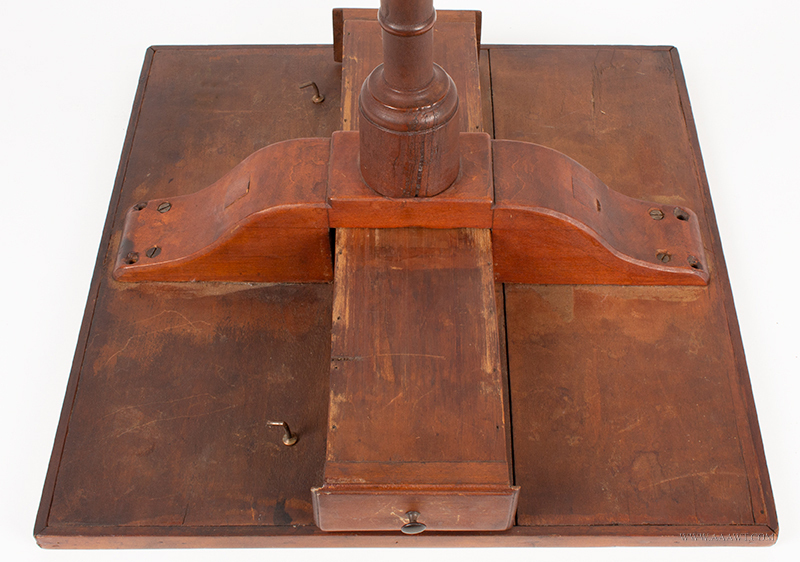 The cut-corner top above turned column raised on tall spider legs. 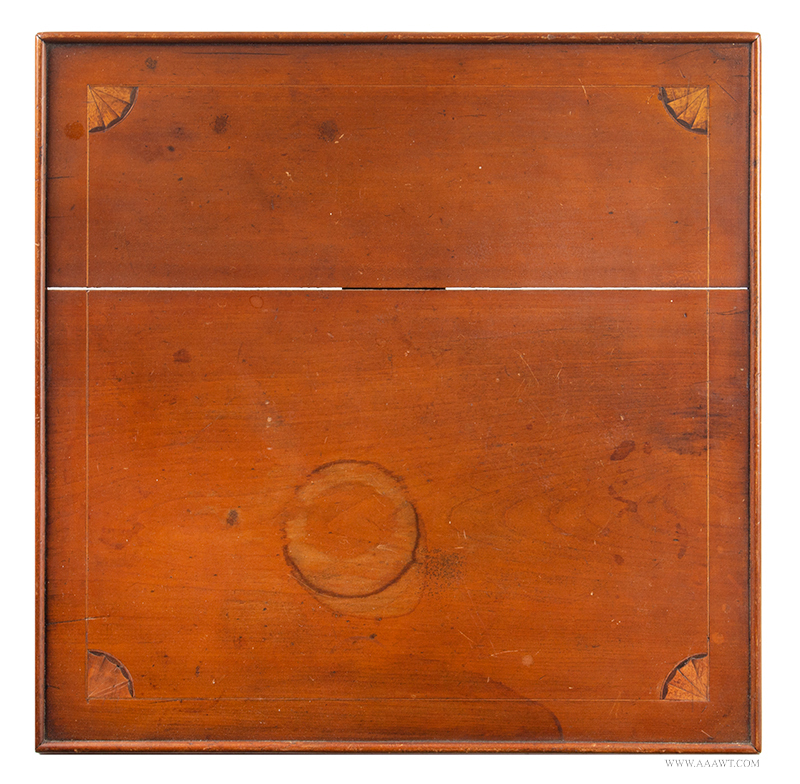 Slight cupping to top; minor imperfections...easily restored. 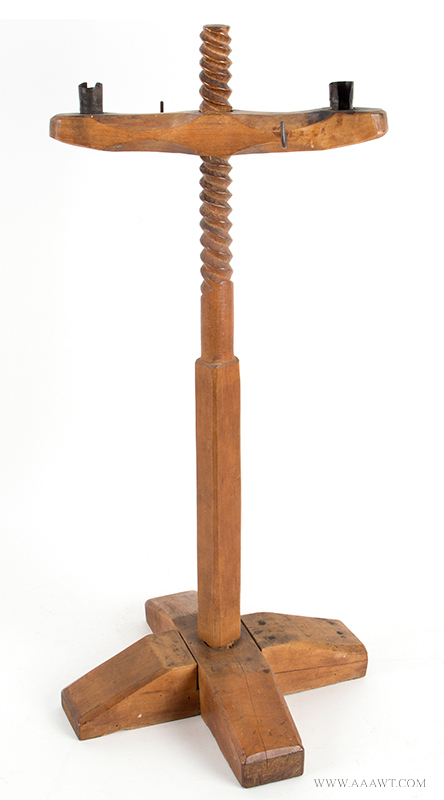 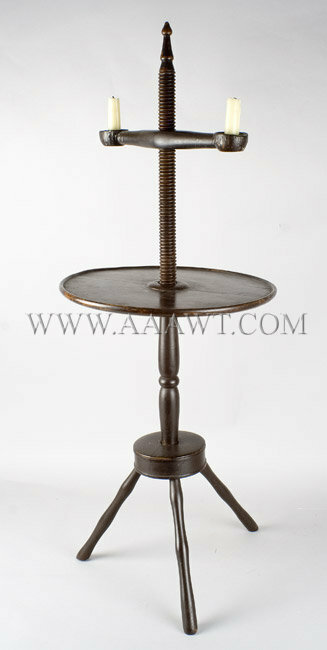 The molded top affixed to shaped cleat above beautifully turned column, raised on spider legs. 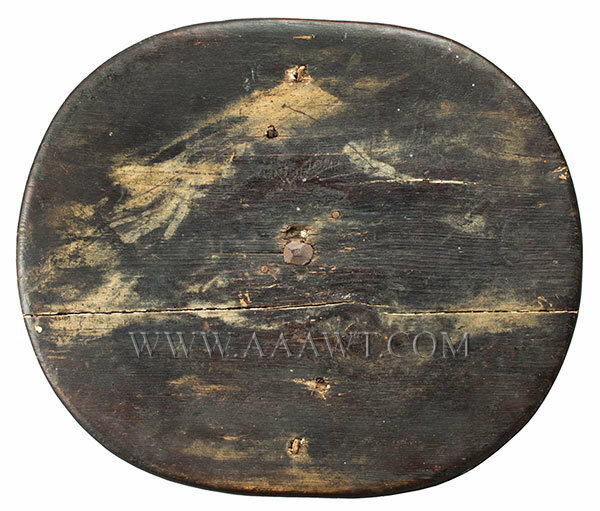 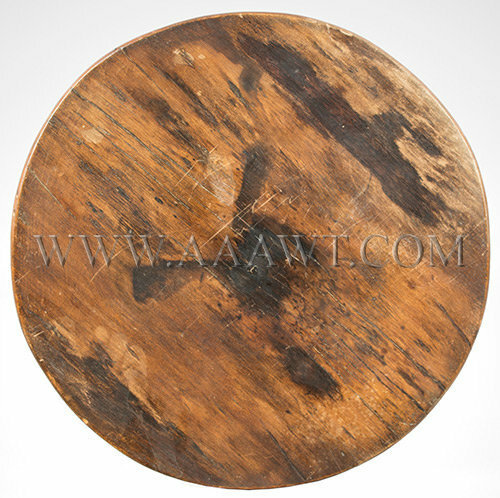 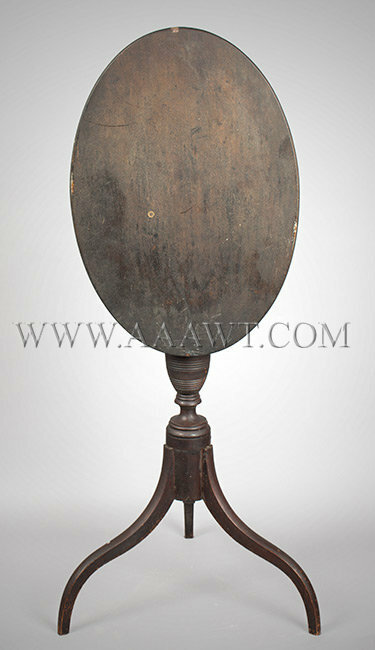 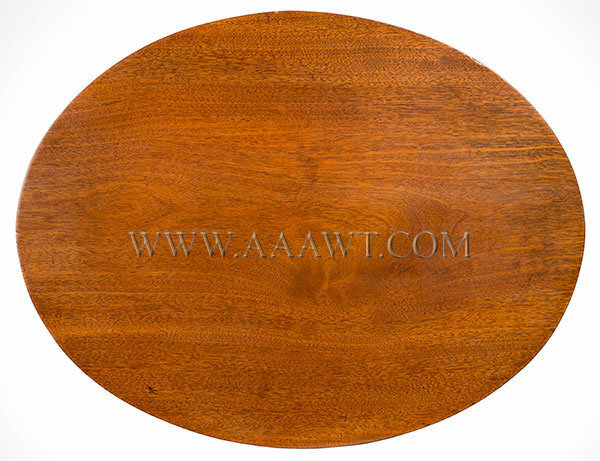 Dimensions: 28.25" height, 16.75" top diameter.